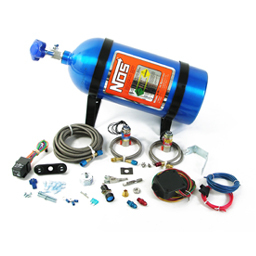 The NX direct port EFI system is for the Mustang crowd that has already modified their engines with high strength internal engine parts. 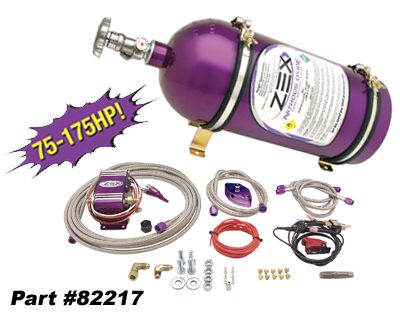 This system utilizes the patented NX “Piranha” nozzle and is adjustable up to 300 Horsepower! Available standard with high tech distribution blocks, but are upgradeable to optional “Next Generation” rail technology or “Shower Head” distribution blocks for future expandability. Note: The N2O pressure gauge is not included in the kit.